January 15, 2011 Is Fear Holding You Back? Fear usually originates when we predict the future in a negative manner. We focus upon something that has not happened yet. Most of the things that we are afraid might happen, never happen. If we take care to be mindful of the present, we can prevent many fears from arising. Our minds tend to roam into the future and past rather than stay in the present. Dare to conquer your ego. Realize most of your fears are about some sort of destruction of self. Are you fearful of losing your wealth, health, reputation or power? The world is a wonder of interconnection and union. We find this in nature. Each separate part of nature creates potent interdependent interactions. Fear seeks to separate. Fear pushes you outside of unified and interdependent thinking. Fear wants you to think about life as black and white. Fear wants you to approach life in a linear manner: one, two, three. Fear fills the shape of all separations you generate. Fear is the absence of union. Fear poses as a protector. We mistakenly believe it can guard us from the cost of moving beyond our comfort. Linear thinking and compartmentalization can provide order in our lives. 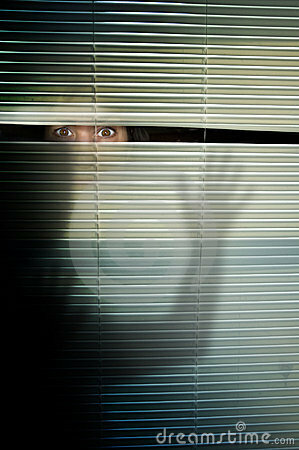 While it is human nature to be cautious, fear can be a problem when allowed to extend too deeply into our lives. Life should not boil down to separating things and putting them into boxes. This type of thinking constricts our spirituality. 3. Separate your experiences and relationships into categories. 4. Refuse to be tolerant or accepting. 5. Have the urge to impose physical, emotional, or psychic pain upon yourself or others. 1. You are enthusiastic about your life. 2. You are creative. Ideas and actions flood from you. 3. You feel connected to others. 4. You are observant as opposed to judgemental. 5. You have empathy for others because you feel that they are an extension of you. When we conquer our fears, we access to our potential for happiness and success. Life is change. If we withdraw from change, we move backward. Let’s move foward together right now. Remember, the change you seek can begin in an instant.